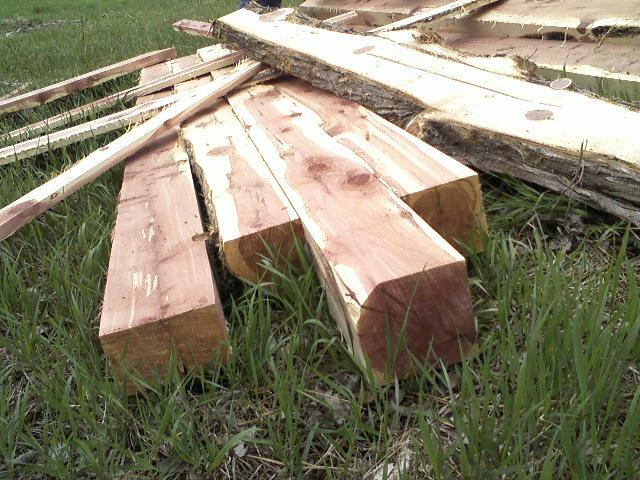 These photographs are of lumber derived from what is commonly called red cedar (actually a juniper, Juniperus virginiana). 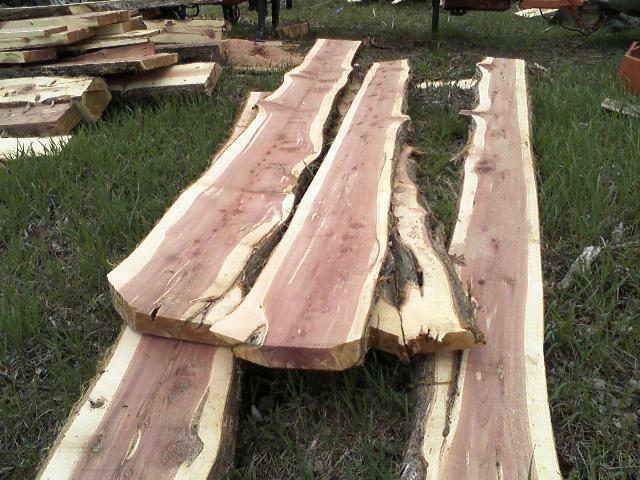 This is the wood that cedar chests and closets are made of. 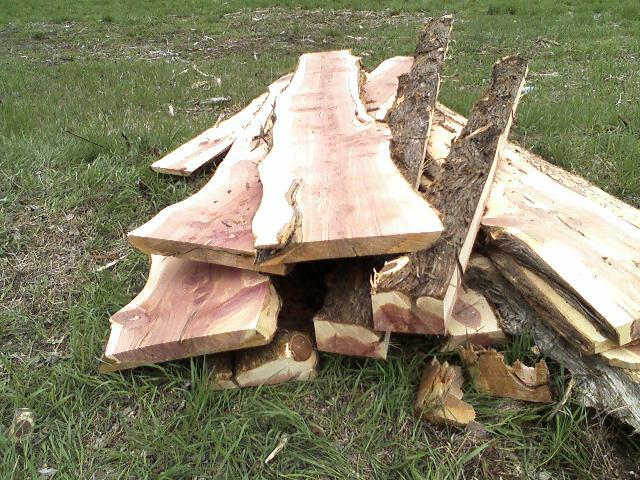 The wood has a strong pleasant odor to humans but is repellant to wool eating moths. This species is typically the first tree to colonize areas of dry and rocky bluff prairies characteristic of western slopes within the Driftless Area of southwestern Wisconsin. The cedars then provide the shade required for many other tree species to establish, ultimatly displacing the diverse prairie vegetation that grows on these often steep slopes. Periodic wildfires occurring on these very dry slopes historically prohibited this successional trend by setting ablaze the highlly compustable cedar. 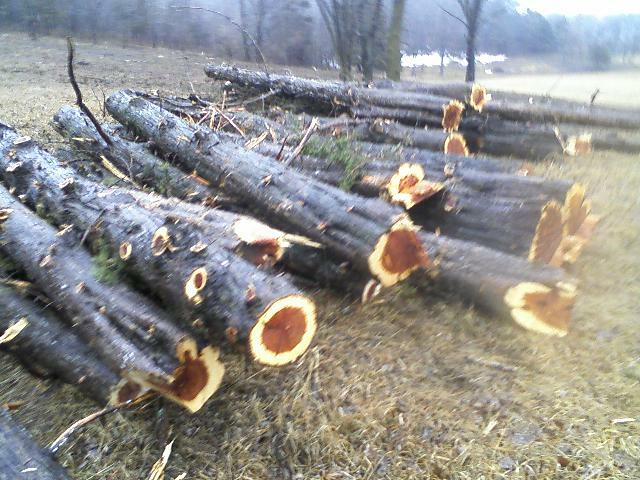 Removal of the cedar allows increased light levels and the safe reintroduction of prescribed burns.